Installation, service and sales of smarthome devices and related products in Toronto & GTA. We provide installation of door locks, doorbell cams, garage door openers, a wide range of home sensors, electrical outlets, switches, smart lighting, and etc. Home automation is now available to everybody. Every home can be turned into high-tech property on a reasonable budget. Many homeowners already installed smart devices in their homes, while others are just starting to move forward. Automation allows you to manage many areas of your home, from any location, with voice assistants such as Apple Siri, Google Assistant, and Amazon Alexa. You can control doorlocks, garage door openers, doorbell cameras, lights, smart thermostats, and various sensors in your home. Home automation technology is handy in tracking, logging and notifying of any activity throughout the house. Through the monitoring of energy consumption, smart home devices are capable of saving resources, thus paying themselves off in the longterm. Free In-Home Estimate - experienced smart home technician visits your home to identify your needs and to estimate your project costs. Home automation eliminates the need to adjust lighting or temperature manually. With a single touch of a button any smartphone becomes a remote capable of controlling the components of connected home system from a distance. Voice assistants like Apple Siri, Amazon Alexa, and Google Assistant enable smart home device control via simple commands. 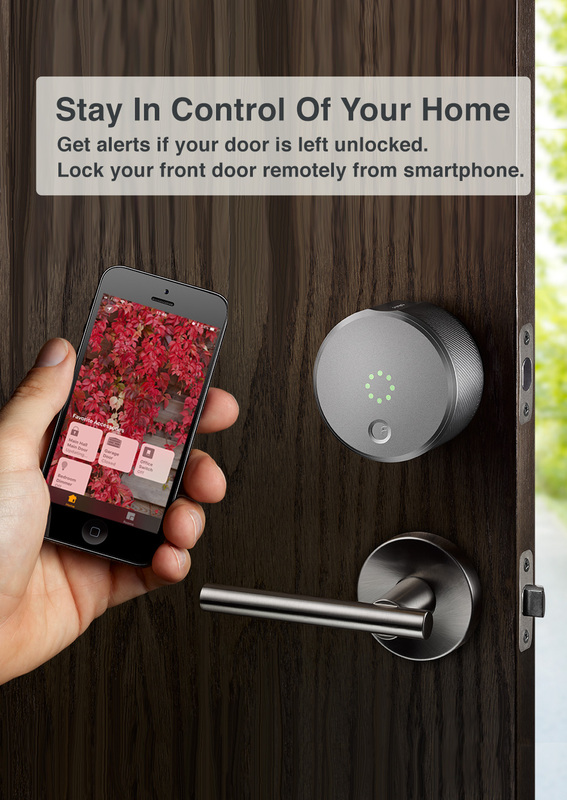 New generations of smart locks provide a keyless & secure entry for your home and/or business. You may assign keys to friends and visitors, giving them access at specific times. Instead of getting up to flip the light switch, you may reach for your smartphone. Automations allow you set up complex actions, triggerable by voice, time or event. Increased home safety will make you relaxed. You'll get mobile device alerts from your smart home automation system if something isn't right. Smart door locks are electromechanical locks, which open both from a smartphone and a traditional metal key. This range of capabilities provides many benefits for practical applications. 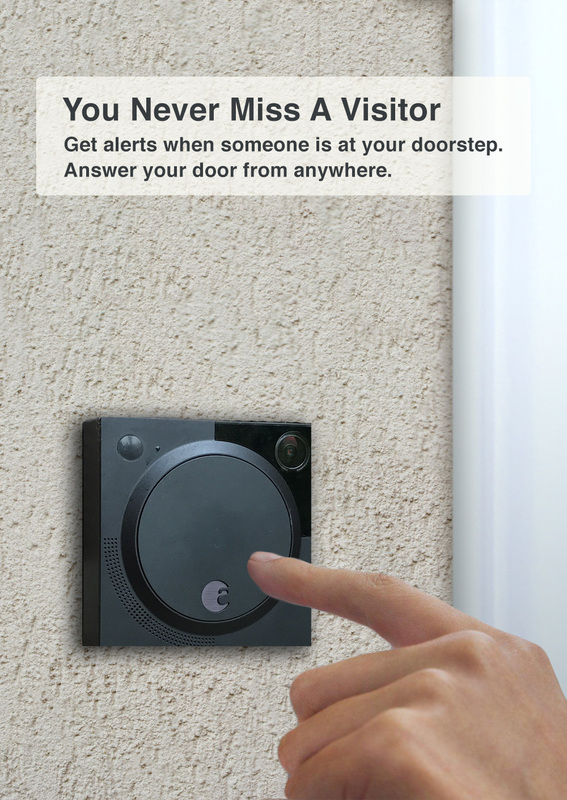 Smart doorbell cameras include a video camera, two-way audio channel, and a motion sensor to allow enchanced monitoring from a mobile device or PC, locally and remotely. 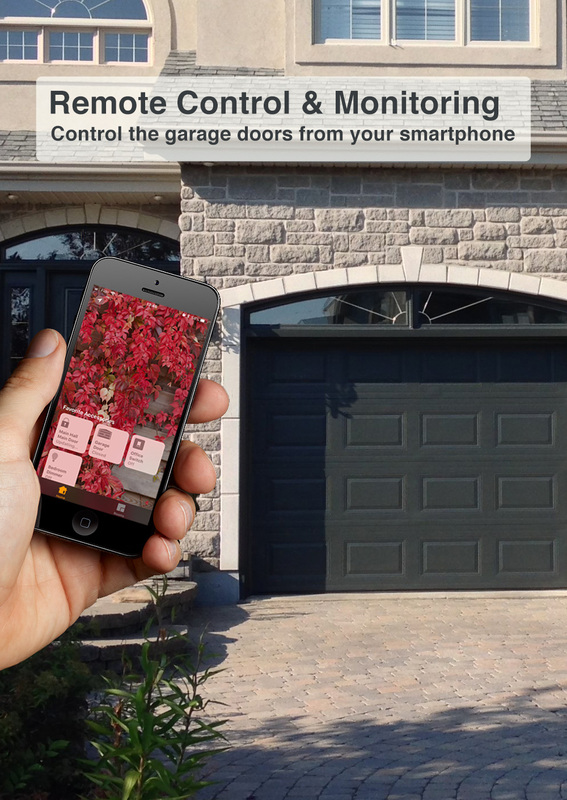 Smart garage door-openers allow you to both remotely or locally open / close the garage doors. In addition, you will be able to delegate the task to an authorized person and monitor the current status of your garage doors. 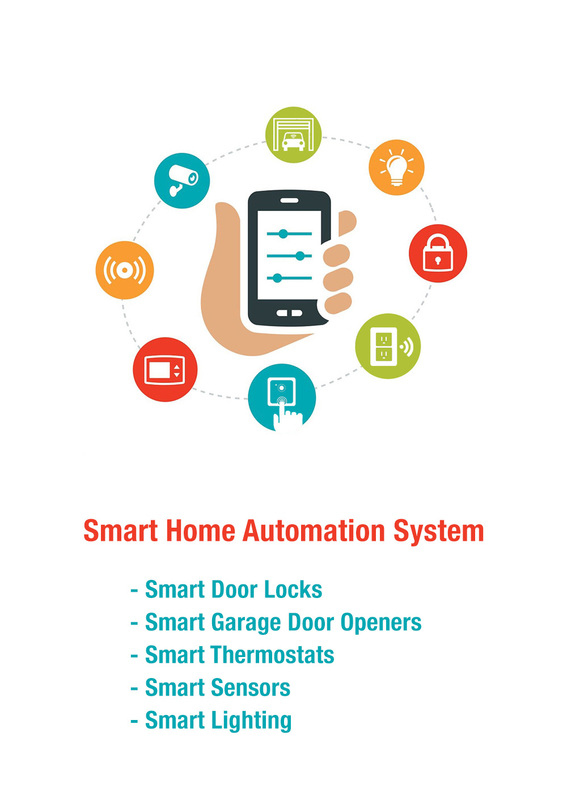 Smart home sensors are the necessary component of a connected home system that allows you to monitor the opening / closing of doors and windows, motion, leaks, fire, air quality, etc. 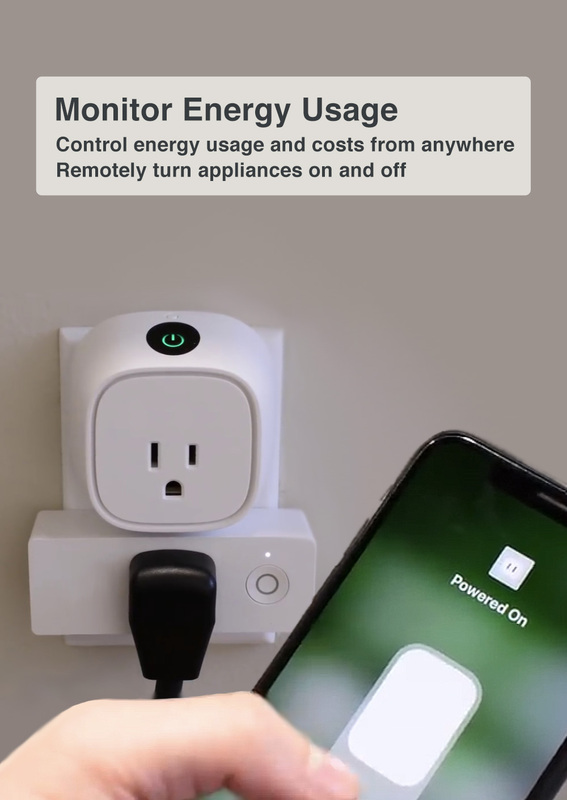 Smart outlets are a new generation of sockets that allow you to turn on/off connected devices and monitor energy consumption from a remote location via smartphones or PC. Smart light switches are designed for convenient and comfortable light control. In addition to the power consumption reduce, they support different automation scenarios.